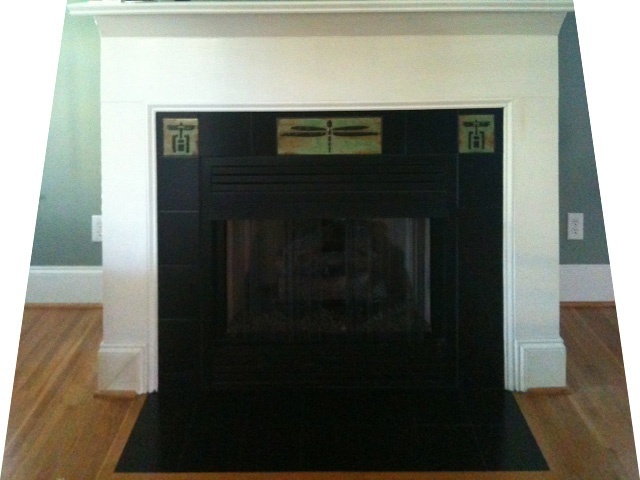 H 6" D 8" L 82"
L 73" H 8" D 9"
Clients had three decorative tiles inserted into the original black tile before I began the project. 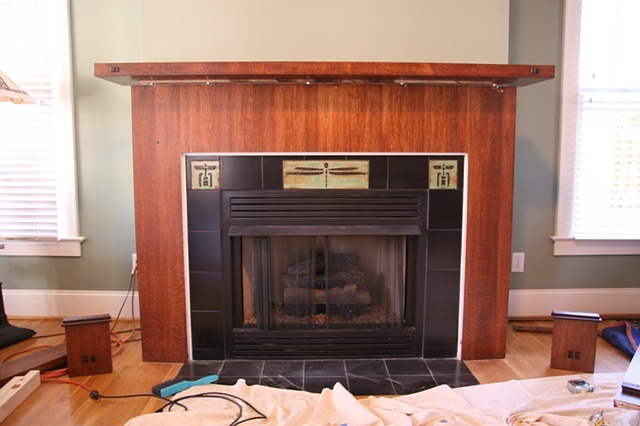 First phase of project: removing original construction and installing a mounting bracket for the new mantle. 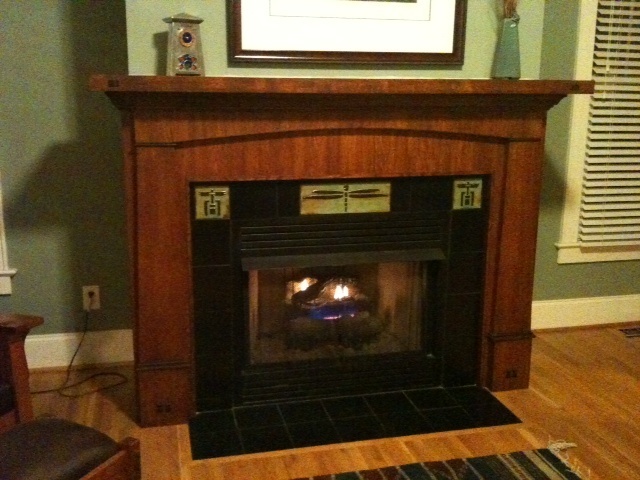 New mantle in place; fitting the new surround. 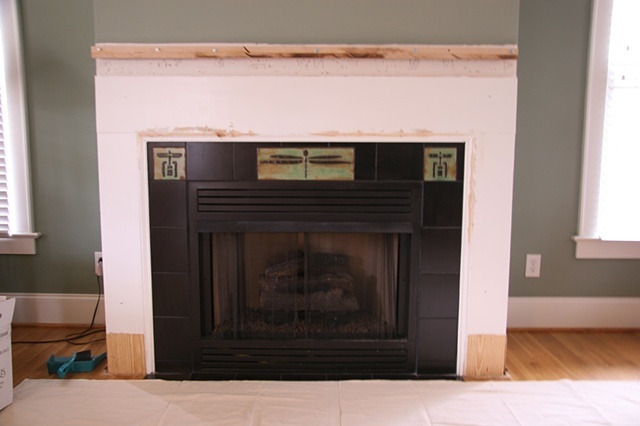 Completed project with fire in fireplace! 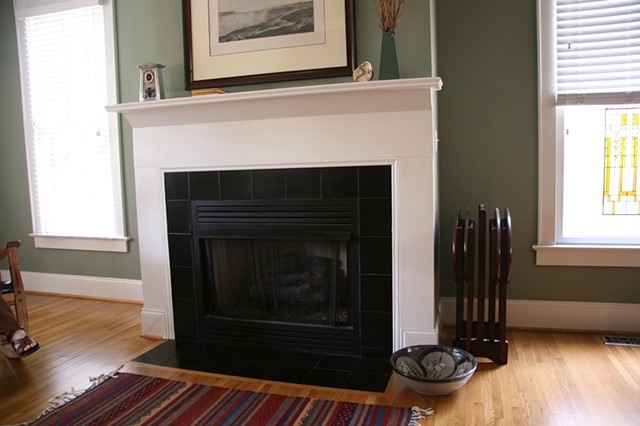 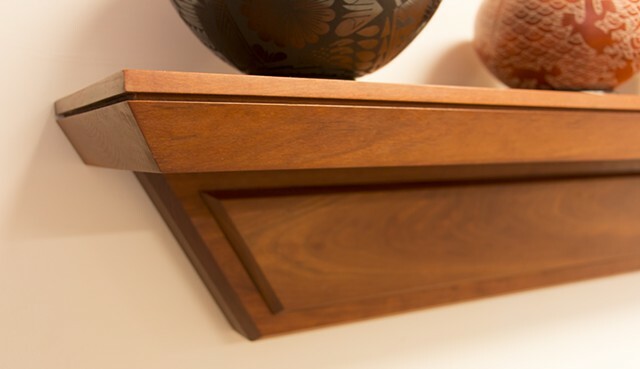 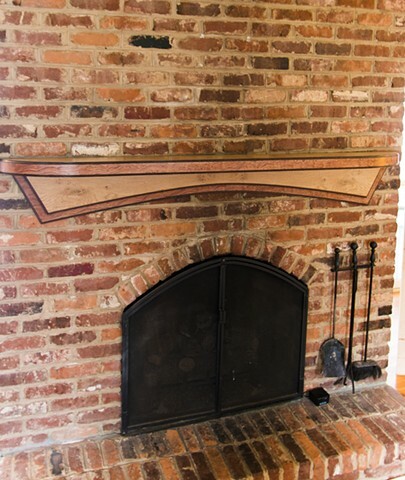 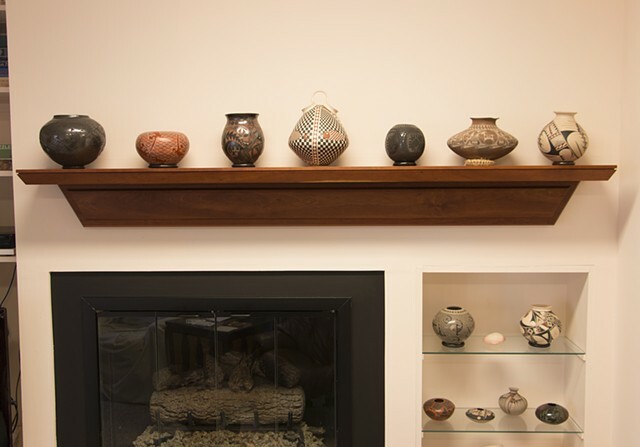 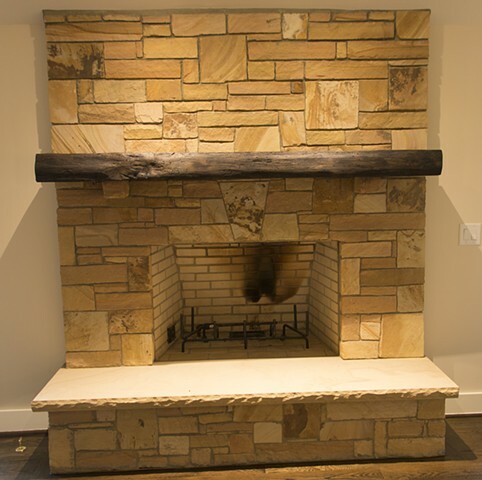 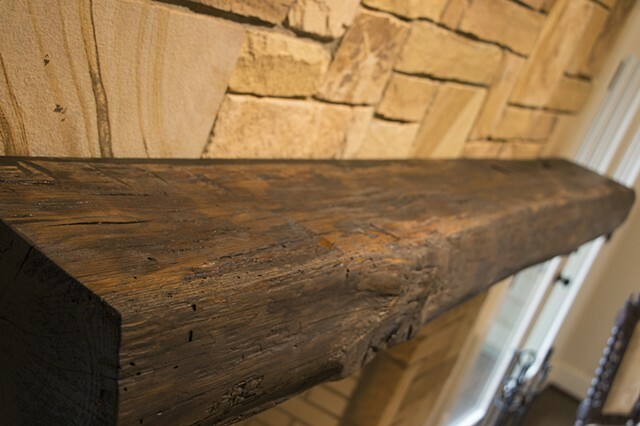 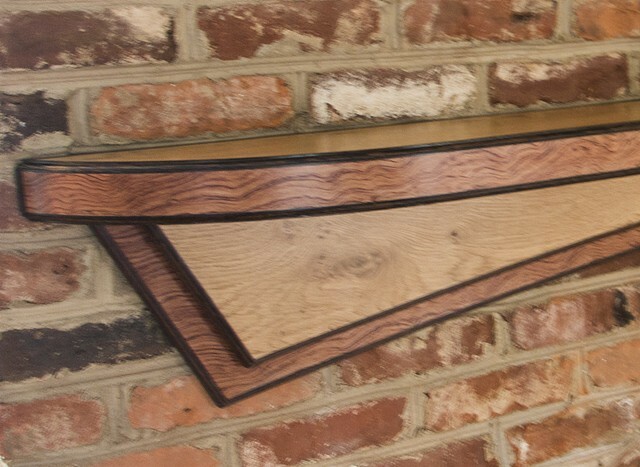 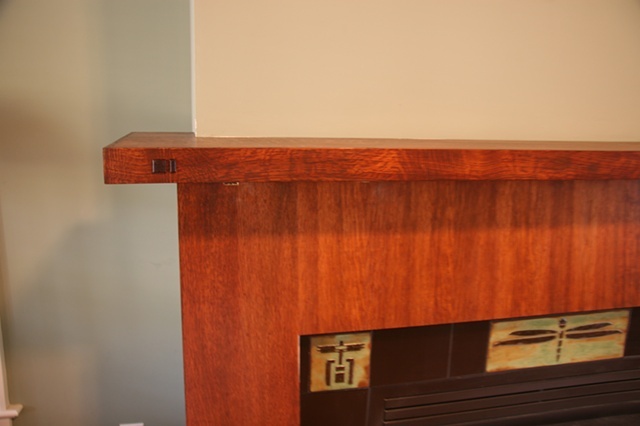 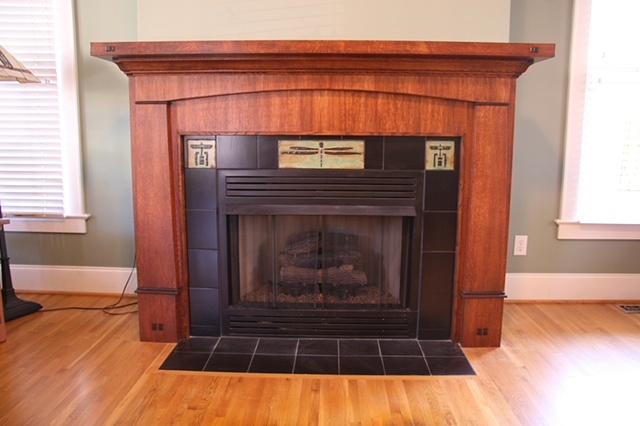 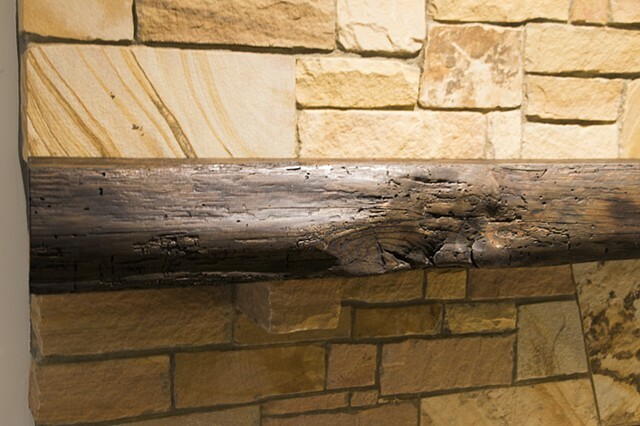 Here are examples of custom fireplace mantels that I have designed.